Digital transformation is changing the game for human resources leaders and executive search professionals by transforming the way organizations recruit, manage and develop their people, driving engagement, innovation and productivity to new peaks. What impact will the digitalization have on HR? The insights delivered by smart analytics are no longer available just to IT and financial gurus but to a range of people throughout organizations – including HR employees, executives and managers – who are already using it to fundamentally change the way they work. The aim of the seminar in Shanghai is to explore the future of human resources and cloud-based human capital management, and demonstrate how what you do today will energize your company and overcome the barriers of digital transformation. What is holding back digital in human resources? How can digitalisation of HR help to attract, engage and retain talent? And how is this strategically implemented in a company? What are the challenges that companies face as they seek to fulfill digital ambitions? This seminar highlights the capability, skills and technology your key business functions need to attain success in a radically changing world. Which are the competencies needed by HR to adapt and manage this shift towards data-driven decision making? How are companies making smarter and more informed decisions thanks to digitalisation in human resources? How can employees benefit from this transformation? The human resources seminar is organized by the European Union Chamber of Commerce in China and will take place on September 19th 2017 at the Four Seasons Hotel in Shanghai. 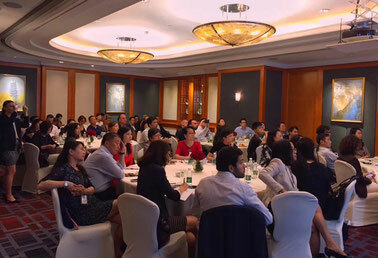 During the You will have the opportunity to network with our executive search consultants from our Shanghai office.